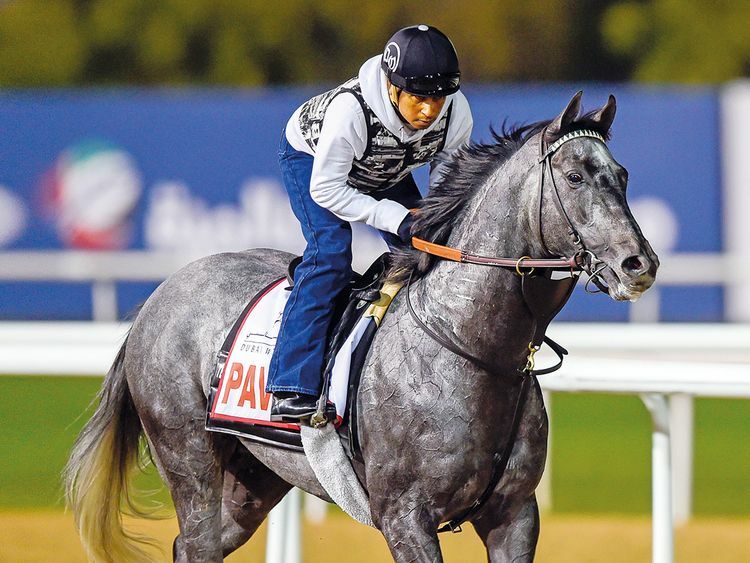 Dubai: Two-time Kentucky Derby (G1) winning handler Doug O’Neill believes that Pavel, who was fourth in last year’s Dubai World Cup (G1), ‘has it in him’ to win the $12 million contest at the second time of asking this Saturday. A Grade One winner at Churchill Downs last summer, the five-year-old son of Creative Cause looked to have every chance in the Meydan showpiece 12 months ago entering the home stretch but was unable to match Thunder Snow, the winner, West Coast and Mubtaahij for speed inside the final two furlongs of the race. Upon his return to the US, Pavel performed consistently at the highest level giving his handler the confidence that he was an above average who checks all the right boxes. “I’m really excited about him. He’s in a consistent place right now and he’s very fit and ready. He’s acting like he’s going to run the best race of his life and he would need to in order to win the Dubai World Cup,” added the American. “He’s a proven shipper who eats well and you need a horse who takes his track with him like he does. He checks all the boxes and has the characteristics you look for when shipping to Dubai and could be very successful. O’Neill has sampled success on excursions outside America having won the Japan Cup Dirt (G1), now the Champions Cup (G1), with Fleetstreet Dancer in 2003 and the Godolphin Mile (G2) at Nad Al Sheba Racecourse in 2007 with Spring At Last. Looking ahead to Pavel’s chances on Saturday, O’Neill said: “Pavel has displayed that if he has a clean trip and is somewhere near the action, he’s going to be a force. 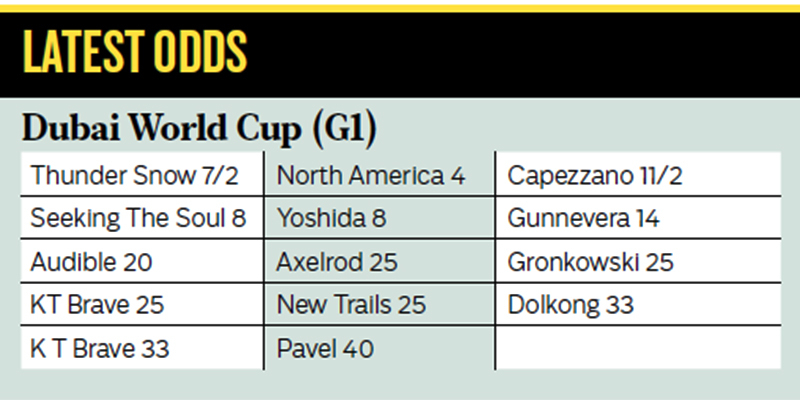 According to the preliminary fields for the Dubai World Cup, announced by the Dubai Racing Club last week, 13 runners are expected to start. Among them are defending champion Thunder Snow, who is bidding to become the first horse in history to win the great race twice. He is trained by eight-time DWC-winning handler Saeed Bin Surour. Others in the field are North America who has a second shot at the race having missed the break 12 months ago and finished last of 10. However, North America, who is prepared by long-time Dubai-based handler Satish Seemar, has given his handler every indication that he is ready to make amends second time around.